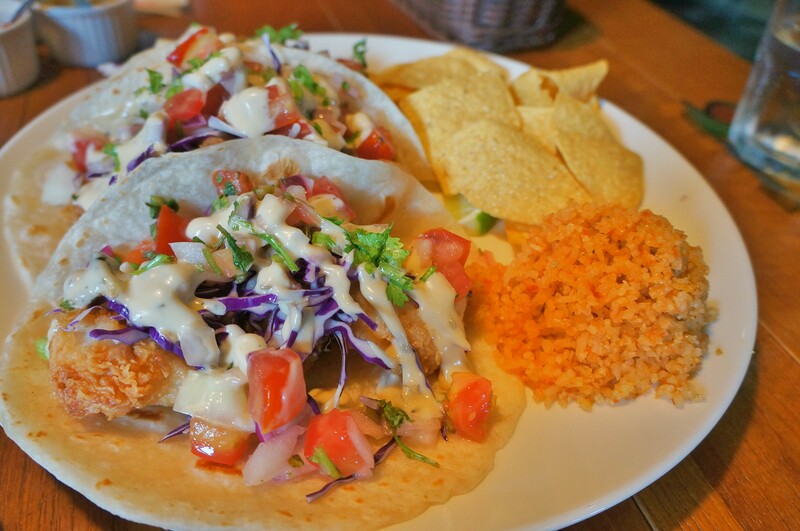 Eddy’s Cantina has been around since 2010 where they opened in Tamsui. They were there properly for a year before focusing their efforts on their TianMu branch. It must be a popular spot as there are actually now two branches – both of which are in TianMu 天母. As you can see, we’re looking at Mexican food, here. So, all you Americans reading out there, this could be what you’ve been missing! We went over the Cinco De Mayo holiday weekend, and to be fair when you look at the specials the shots could seem appealing if it wasn’t over lunch… However, where are the food specials at? … or a table/high chair. There’s a fair amount of beer on offer here, however, the price isn’t too welcoming starting around $150. I didn’t check if it was a small glass or a pint, but my bet is a small glass (I’d love to be proved wrong, though?). The kitchen looked clean and well maintained. Nachos caught my eye, straight away. So did the carnitas, but I will save them for next time as I primarily came here for the tacos. Cauliflower ‘wings’? They sounded interesting. Not much a fan of Quesadilla’s, if I am honest. They also do a set menu, here. But at $999 for 2 people and $1499 for 3 people, it can become a little pricey if you want to add some drinks onto that. The deals are pretty decent throughout the week, so if you’re willing to head out to TianMu for some Mexican, then it’s ideal. However, weekends aren’t very alluring with ‘happy hour’ from 15:00-18:00 and buy 2 get 1 free. I am not quite sure if you get this whatever you order, but I was more than happy when presented with these. The top left is Eddy’s salsa which is fresh and tasty, the right is a spicy chilli and tastes great, too. The bottom is a little less spicy chilli, I’d prefer two of the spicy ones if I could choose. I’ll tell you this: there was plenty on the plate. There’s a very healthy portion of nachos in the (L) portion, here. Maybe next time we would go for the (S) portion between the two of us if we are sharing the tacos, too. As for the flavour: the corn chips are nice and crispy, nicely salty without being too much, enough cheese without being too little or overdoing it, and a good amount of salsa with the chicken on the top, too. I think these are pretty damn good, actually! I appreciated the dips for the nachos that are on the bottom and don’t get a covering of the cheese/salsa. I definitely polished off the chilli dip quite quickly. It’s got to be the fish, every day of the week. The fish in these was pretty good, deep fried and crispy. As an Englishman, I definitely respect a good deep fried bit of fish. I didn’t enjoy the ‘rice’, if you can call it that. Quite clearly microwaved as it was scolding hot on the inside but cool on the outside. Basically like small pieces of shredded cardboard. Get rid of this. The taco shell was fine, quite a large taco I feel, but nothing to complain about there! Plenty of red cabbage shredded in there and salsa to make it tangy and fresh. I would say that, overall, the dishes here are pretty decent. Seems like Eddy’s is trying to go with the craft beer ‘revolution’ that seems to be taking Taipei/the world by storm. Prices are high, but I guess so is the quality. For me, I would prefer to go to a specific craft beer bar for my beer if I am paying top prices for it, though. Not too cheap, really, but it’s not something we are likely to have week in week out, so I can almost justify it that way.